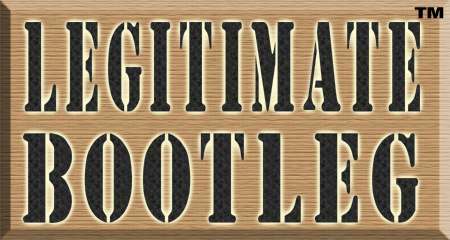 Coming soon, the official launch of LEGITIMATE BOOTLEG, your source for musical products authorized by the original artists. Soon, you'll be able to order limited edition rock and roll recordings, numbered and signed by the folks that created them! "Legitimate Bootleg" is a pending trademark. All rights reserved.